Wameika is the longest standing breeder in Queensland. Home to the "SUPREME CH. WAMEIKA KAZS SHORT SPIRT" a Brittany breaking all the records in Australia!! We have attained quite an achievement in many firsts for the breed in the state. We are situated West of Brisbane, a small but impressive kennel. Obedience, Agility, Rally O & Flyball titled Brittanys. 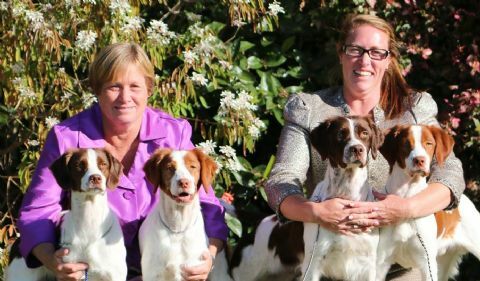 Our Brittanys are also loving companions, animal assistance dogs and work in the field. Our breeding stock are Hip & Elbow X-rayed and Heart & Eye checked. We have now breed 5 generations of bob-tails & natural short-tails along with orange/white, liver/white & liver tri's.